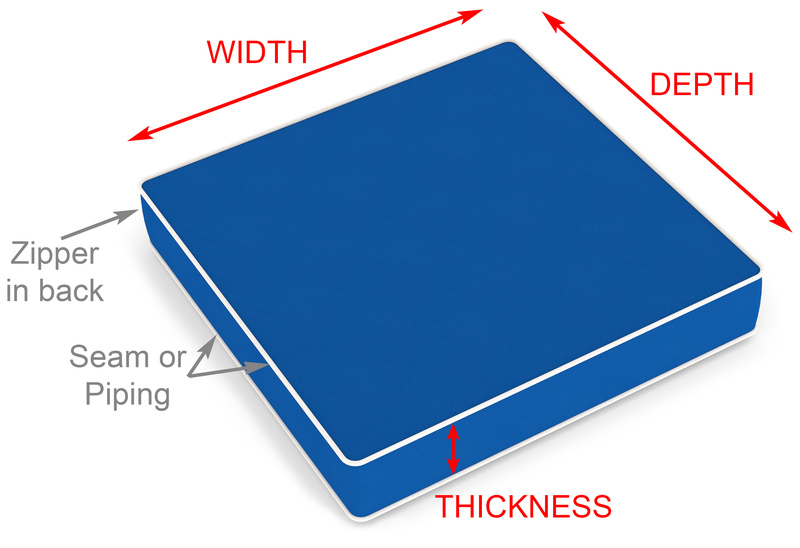 For the most accurate measurements, please measure along the seamline or edges of your cushion. Do not measure from the center of your cushion where the insert may have shifted. Measure the DEPTH of the seat cushion from the front seam to the back seam. Measure the THICKNESS of the seat from top seam to bottom seam. Measure DEPTH of the back cushion from top seam to bottom seam. Measure the WIDTH of the back cushion from one the left seam to the right seam. Measure the THICKNESS of the back cushion from front seam to rear seam. 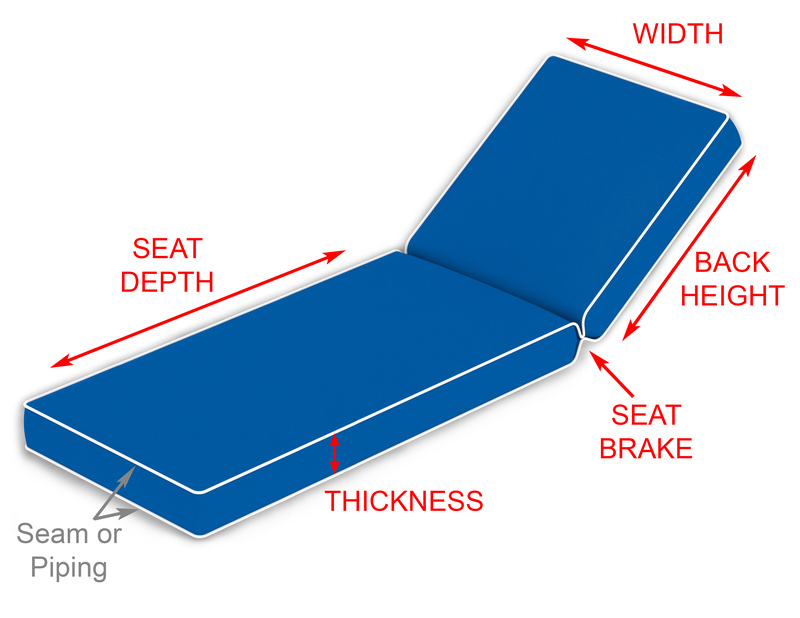 Measure the WIDTH of the seat cushion from the left seam to the right seam. 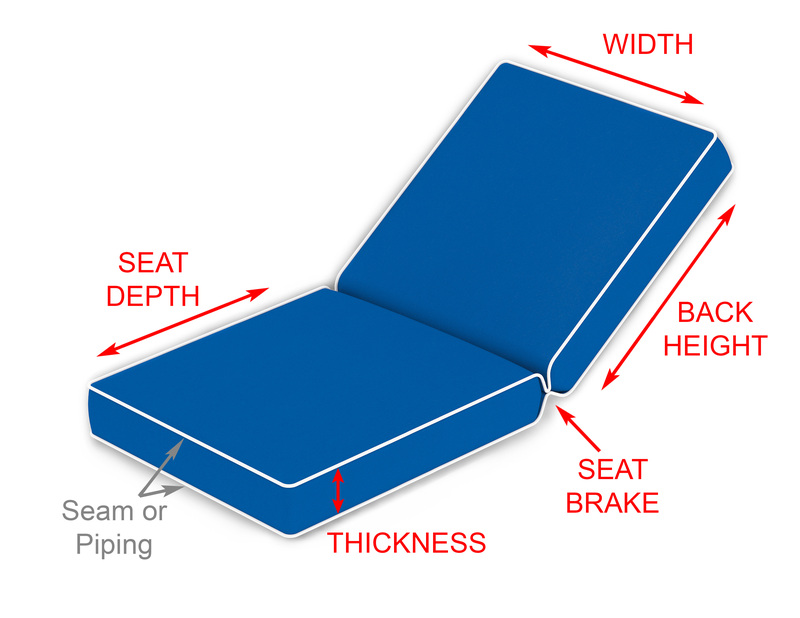 Measure the THICKNESS of the seat cushion from top seam to bottom seam. Measure the DEPTH of the top section from the top to the first fold. Measure the DEPTH of the bottom section from the fold to the end. Measure the WIDTH of the cushion from the right seam to the left seam. Measure the THICKNESS of the cushion from top seam to bottom seam.